Gallant and dashing. A sharp shooter and natural leader. 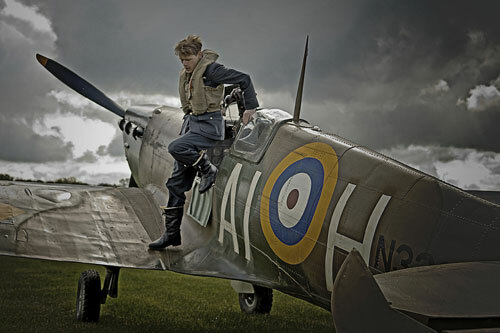 A Spitfire pilot. Johnnie Johnson was an air ace with a relentless desire to destroy the enemy. Johnson was trained at an Operational Training Unit in Cheshire, where he learned how to fly Spitfires, but not how to fight in them. Pilots were longing for information about the Bf 109, on how to master deflection shooting and how best to keep a look out in the glare of the sun. Johnson relates a story about sending someone to London to buy a novel about World War I, after hearing that it contained some useful information. The booksellers knew about it, but all the copies had already gone at six times the cover price (Bungay 261). However, his coolness as a pilot and a tremendous eye and judgment once the target was in his gun-sight ensured that he not only survived the war, but went on to become on of its great heroes. A badly broken collar bone meant that he didn’t fly operationally during the Battle of Britain. Fiercely determined to prove that he wasn’t lacking in moral fibre (an accusation that hung over him during his medical grounding), he made up for lost time and became the RAF’s top WWII ace, accounting for at least 38 enemy aircraft over Britain and Europe. This clip from This is your life shows a post-war Johnson adopting his familiar steely-eyed, crossed-arm stance as he encounters personalities from his past. Watching the interview, there is a strong sense of his calmness, professionalism and perhaps detachment. Johnson prolifically recounted his wartime experiences and wrote several books, including Wing Leader (1956), a wartime autobiography, and Full Circle (1964). With his friend and fellow Wing Commander P B “Laddie” Lucas, he wrote Glorious Summer (1990); Courage in the Skies (1992); and Winged Victory (1995). 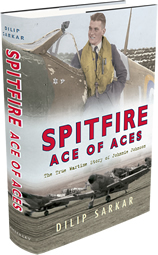 After reading two first hand accounts (Richard Hillary and Geoffrey Wellum), I opted for an historian’s approach and turned to Dilip Sarkar’s latest book Spitfire: Ace of Aces. Compiled with information from Johnson’s logbooks, records and writing- coupled with extensive interviews, it is a thorough examination of Johnson’s training and WWII service. Read director Matthew Whiteman’s blog about the dramatisation of Wellum’s book. Meeting author James Holland started Geoffrey Wellum on the road to publishing his memoir. Read the full transcript on James Holland’s website. 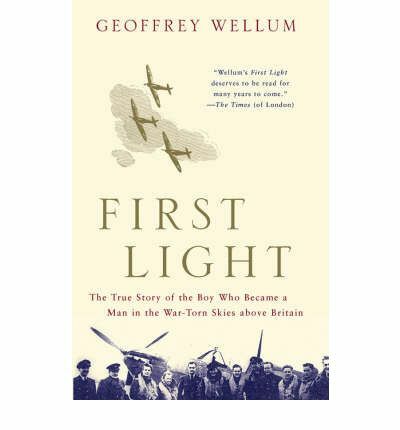 Even by the standards of the Battle of Britain, Geoffrey Wellum’s story is astonishing. He joined the RAF in August 1939, aged just 17, and was flying his first combat missions within a matter of months. At the sharp end of many of the ferocious dogfights, he was subsequently awarded the Distinguished Flying Cross, promoted to Flight Commander and, in 1942, transferred to the Mediterranean to lead a group of eight Spitfires patrolling the skies above Malta. He wrote about his experiences in a moving yet startlingly clear-eyed memoir, First Light, which was first published in 2002 and went straight to the top of the bestseller lists. Perhaps the book’s reflective tone is due to the fact that Wellum wrote it decades after the end of the war. It’s a strange twist that something written so long after the event should resonate with such truth and capture the immediacy of the Battle. “Thirty-five years later I am sitting at the dining room table in my small cottage. The french windows are open and the sound and smell of the steady summer rain create a peaceful atmosphere. Before me on the table is a pencil, sheets of foolscap and an old exercise book containing some reflections I jotted down at odd times during those momentous early days of the Second World War. Even at the height of battle, Wellum suspected that their heroism would be forgotten. “Well, it has been,” he says during an interview. Recent Battle of Britain Association visits of schools revealed that virtually no children were aware of the events of 1940. Nor were their teachers. “It doesn’t matter,” Wellum says, unconvincingly. “England is being tested and, with her, my own personal testing time is about to begin. This is the moment for which I was trained and the moment that has been on my mind largely since I joined the squadron. I am down on the order of battle for tomorrow morning at first light; readiness at dawn. The Fatal Englishman is Sebastian Faulks’s first and so far only venture into non-fiction. It is a triple biography, whose subjects were all men of high promise who died young. 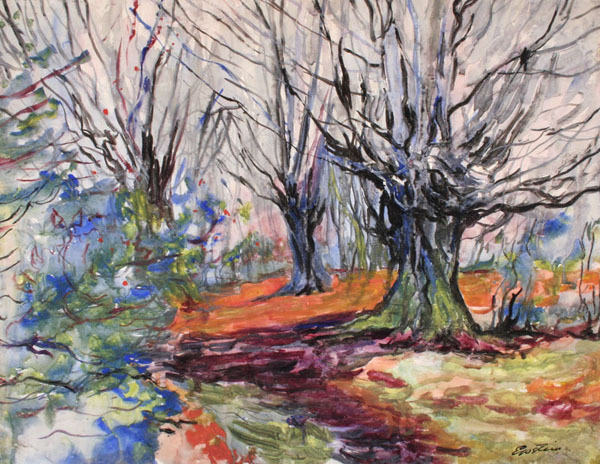 They are the painter Christopher Wood (1901-1930), pilot and author Richard Hillary (1919-1943) and Jeremy Wolfenden (1934-1965), an academic and journalist. The second section on Richard Hillary captured my attention. Faulks dashes through the early years to get to where he wants to be: with Hillary in 1940, at RAF flying school in Scotland. It is difficult for Faulks to be compelling in his descriptions; Hillary’s own words in The Last Enemy grasp the reader around the throat while Faulks is left to mechanically fill in biographical detail. Faulks is helpful though, in contextualising Hillary and in observing his lasting place in history. Faulks’ account, however, eventually leads one to conclude that it was Hillary’s bloody conceit and indestructible arrogance that made him insist upon flying Blenheims– even after experience had confirmed that his catastrophically damaged hands could not properly control such lumbering aircraft. Parker may be correct in his assessment that each of these characters has an individual failing, but I think he understates the significance of history’s processes. Despite the fact that only one of the fatal Englishmen is in active service, all three stories are touched by the effects war. I can’t shake the thought the thought though, that Faulks’ writing leaves me a bit chilly. He is competent, applauded and well-trained. But his prose somehow fails to fire me up. I am sure this is a failing and misunderstanding on my part, but as much as I agree with his theories and am fascinated by his topics, I just can’t get my teeth into it.